The scientific journal Nano Letters has recently reported a significant breakthrough in the field of hydrogen fuel production. 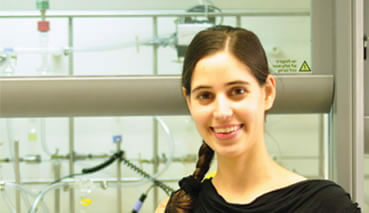 A major discovery occurred at the laboratory of Assistant Professor Lilac Amirav of the Schulich Faculty of Chemistry at the Technion, demonstrating a perfect 100% light-to-hydrogen gas conversion efficiency through solar water splitting. 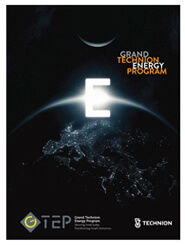 The research was conducted in the framework of the Russell Berrie Nanotechnology Institute (RBNI) and the Nancy and Stephen Grand Technion Energy Program (GTEP). The search for environmentally clean and renewable energy sources is indispensable in face of a looming energy crisis, and environmental problems such as global warming. One promising approach to address these challenges is the use of photocatalytic systems, which harvest sunlight and split water, producing molecular oxygen and hydrogen. Both sunlight and water are abundant and free of the political and economic vulnerabilities that characterize the traditional energy market. Hydrogen can be stored and utilized as a transportable fuel, to cope with the intermittent character of solar radiation. Unlike fossil fuels (oil, coal, or natural gas), hydrogen is a pollution-free source of energy. This direct solar-to-fuel energy conversion alleviates the energy storage problem, since fuel (chemical energy) can be stored more easily than either electricity or heat. The photocatalytic system absorbs light and converts the solar energy into positive and negative electric charges, which then promote the chemical reactions that split water. Yet there are many constraints that hinder the development of efficient and practical technology. There are strict material-related requirements, starting from appropriate light absorption, through the nature of the electric charges that can be generated, and finally stability and price. Other challenges relate to the process itself. Loss of the electric charges due to unwanted reactions or recombination will lead to low efficiency. Hence, after four decades of global research, systems that are sufficiently stable and efficient for practical use have not yet been realized. The researchers, Dr. Philip Kalisman, Dr. Yifat Nakibli, and Asst. 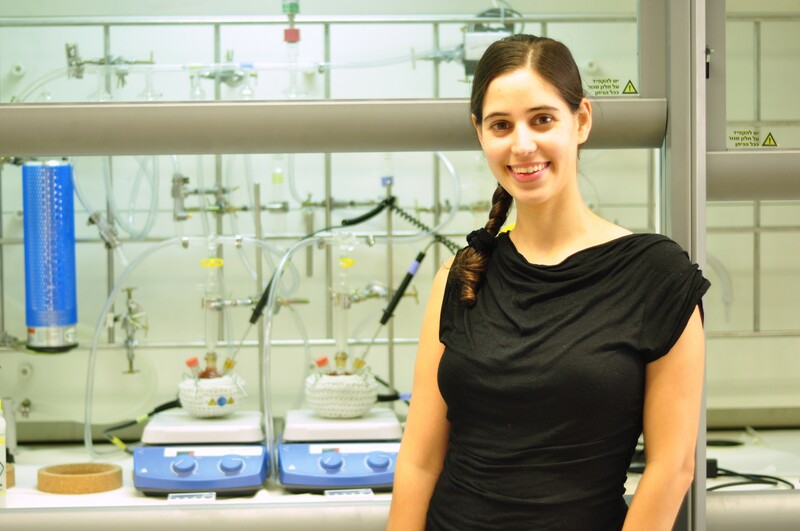 Professor Lilac Amirav of the Schulich Faculty of Chemistry at the Technion have set a record for one of the half-reactions in this process, reporting 100% efficiency for the reaction that utilize the negative charges for the production of hydrogen from water. These results shatter all previous benchmark conventions for all systems, and leave little to no room for improvement for this particular half reaction. The impressive efficiency was achieved through utilization of a unique nanoparticle photocatalysts, operating in basic environment. The system developed consists of two semiconductors, a tiny spherical nano size particle (quantum dot) of a singular material, embedded within a second material that is rod-shaped, with a platinum particle at its tip. The quantum dot attracts the positive charges, while the negative charges (electrons) accumulate on the platinum tip. The physical separation between these charges is the key to the success of the system. The electrons are responsible for the chemistry – the reaction that produces hydrogen from water. Every two photons form a hydrogen molecule without any losses – a target that has previously been thought of as impossible to attain. With a perfect conversion of all the absorbed light to hydrogen, a single photocatalyst nanoparticle can produce 360,000 molecules of hydrogen per hour. This is the highest achieved efficiency ever to be reported.